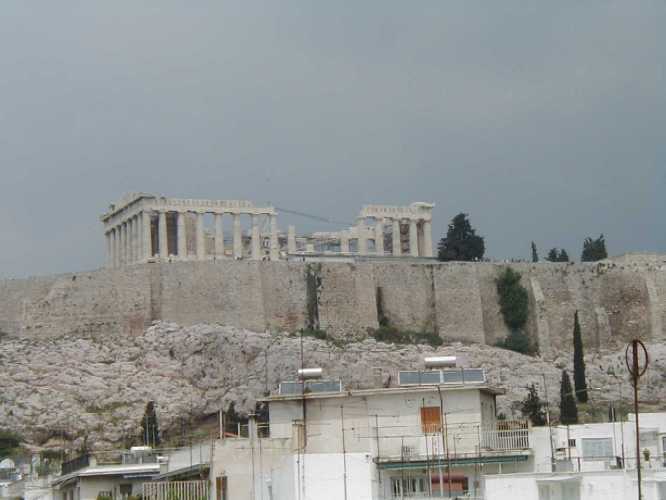 The left photo is the view of the Acropolis and the Parthenon from our hotel room in Athens. 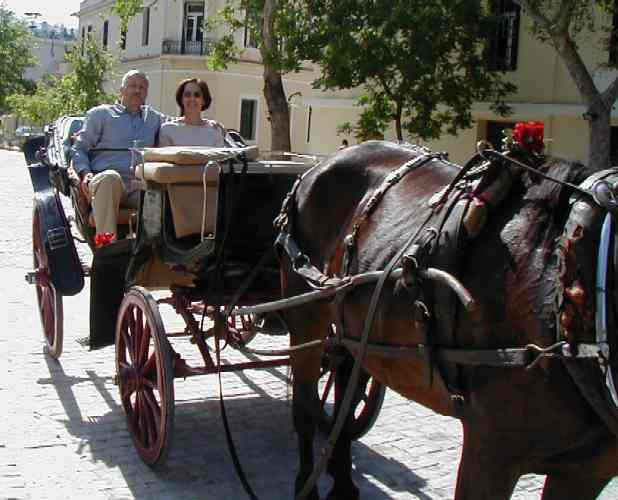 Andy and Terrie discovered the best way to tour Athens, in a horse drawn buggy. 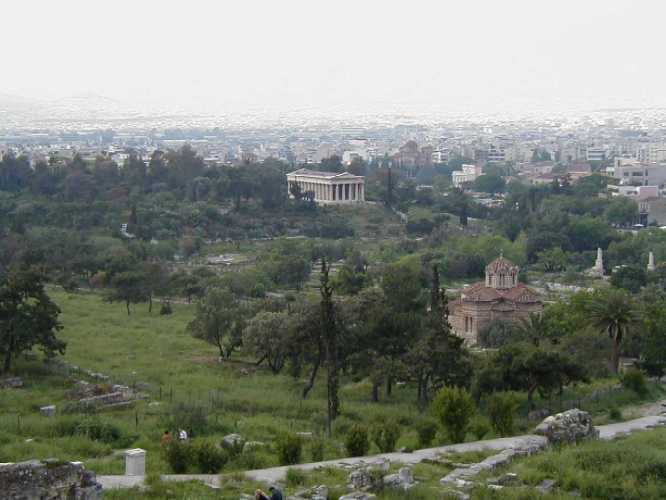 The left photo is of the ancient Agora (the political, financial and religious center of Athens) and the Temple of Hephaistos in Athens. In the right fore ground of this photo is the Church of the Holy Apostles, built in the 11th century AD. 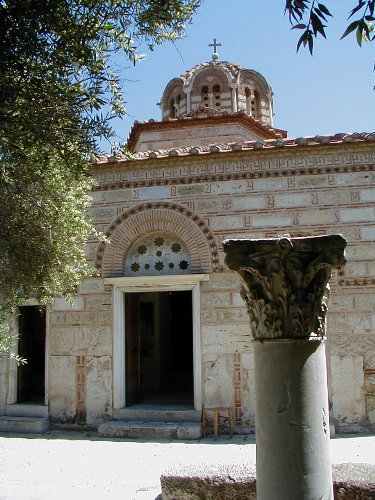 The right photo is of the front of the Church of the Holy Apostles. 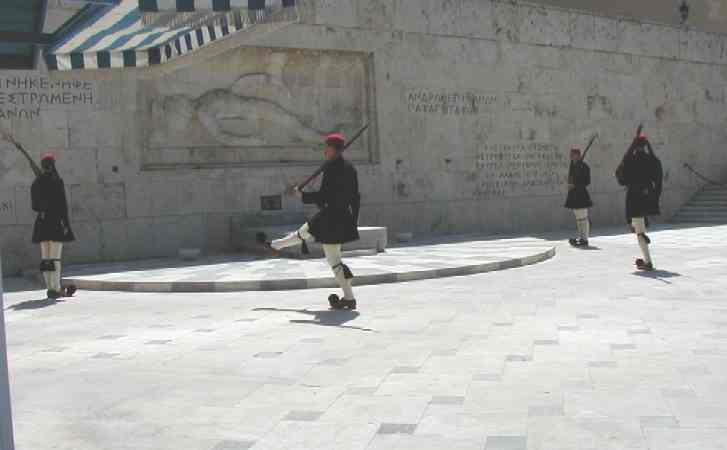 The left photo is the changing of the guard at the tomb of the unknown soldier in Athens by the Honor Guard. 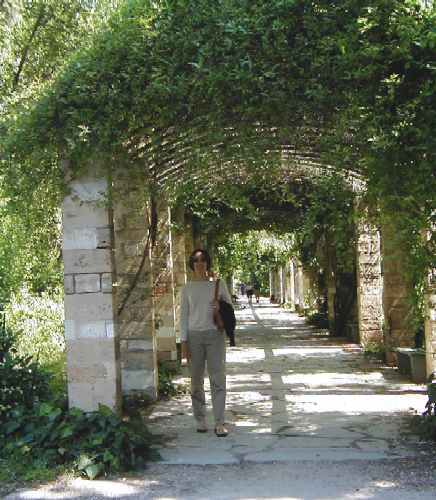 Right photo is Terrie in the National Gardens, Athens.